A TRULY WORLD CLASS MANSION! 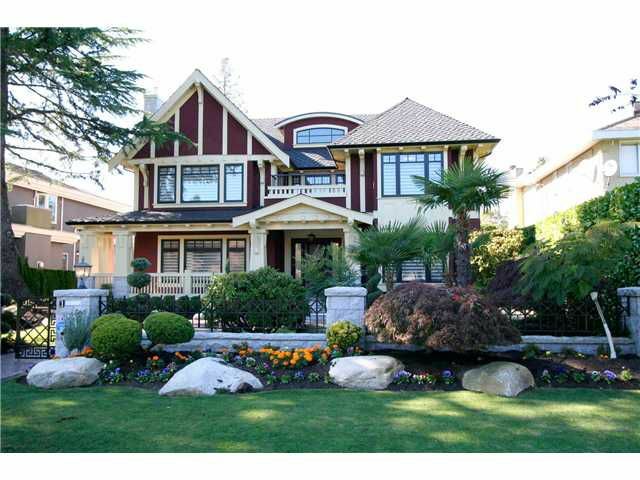 MAGNIFICENT CUSTOM BUILT HOME IN SOUTH GRANVILLE. Almost 7300sf on BEAUTIFUL LANDSCAPED LOT 66X173.5 (11451SF). This beautiful home offers supreme finishing, full atten to detail. Grand foyer w high ceilingopen to lvg/dining. 6bdrms & den, 7 full bths/2.5 bths. Gourmet kit w high-end cabinetry & applncs, island w granite, wok kit, HOME THEATRE, rec rm overlooking gorgeous I/D SWIMMING POOL, SAUNA, STEAM BTH, WINE CELLAR, rad flr heat, A/C, HRV, HOME SMRT SYS W IPHONE CONTROL & SEC SYS W TV, fenced yard w PARK-LIKE GARDEN, WATERFALL & deck. EXCELLENT SCHOOL CATCHMENT; MAGEE HIGH & MAPLE GROVE ELEM, CROFTON, ST GEORGES & YORK HOUSE PRIVATE SCHOOL, UBC, SHOPPING, RICHMOND, TRANSIT. MUST SEE!